Remove skin and fat from breasts and set aside for cooking. Season the skinless breasts with sea salt and green pepper. In a preheated frying pan, render the skin and fat from one breast; place the skinless breasts in the pan and sear for approximately 1 ½ minutes on each side. Remove the breasts from heat and let rest for at least 5 minutes on a paper towel to absorb juices. Preheat the oven to 205°C (400°F), divide the puff pastry dough into four equal parts and roll to obtain 4 rectangles of 15 cm x 20 cm (6″ x 8″). (Tip: the puff pastry must be very thin since the cooking time will be short.) Place the puff pastry on a cooking sheet and place one breast on each pastry, brush the Dijon mustard on each breast and cover with raspberry jam. Divide the prosciutto slices amongst each Wellington and place them on top of the jam. Wet the borders of the pastry with water and fold around the breast forming little packages, making sure that the borders are well sealed. Place in oven and cook for 15 minutes; finish under the broiler for 4 minutes until pastry is golden brown. Remove from oven and let rest 10 minutes before serving. Cut each pastry in two and serve with green beans and carrots or your choice of pasta. 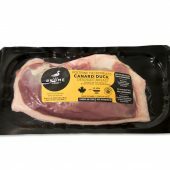 For tender duck breasts, do not slice meat too thin when serving. Keep slices thicker or simply leave them whole, as slices lose their juiciness and dry out quickly. 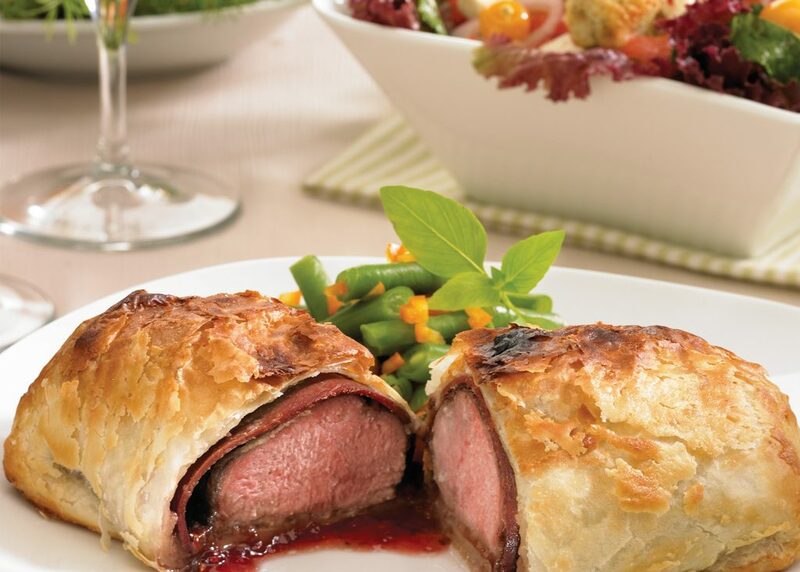 With its crispy puff pastry and raspberry mixture mingled with the smoky hints of the duck, this dish is a delicious and well-balanced complement to a full-bodied, fruity and rich New World Pinot Noir. Select wines from Martinborough, a vineyard in the south of New Zealand’s North Island known for its fleshy Pinots.